I provide a range of therapeutic and integrated approaches for riders and horses, focusing on balance, flexibility, strength, mental preparedness, nutrition and a healthy relationship between human and equine. My credentials allow me to offer a spectrum of different modalities and techniques that together we can customize to build the perfect program for you. 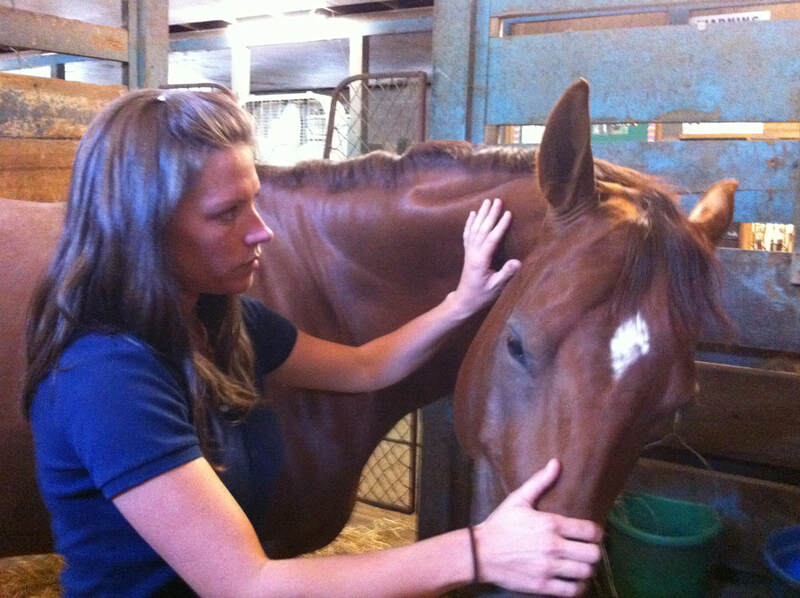 Equine massage and bodywork varies in both technique and intensity depending on issues presented by the equine client, through rider/owner/trainer intake, hands-on assessment, in-person or video observation, and evaluation rides (see below). All these techniques work together to improve balance, flexibility, and mobility. Equine bodywork not only helps performance, it can improve mood and help your horse feel less stressed and more relaxed. Sometimes what seem like behavioral or training issues in a horse are caused or exacerbated by pain and inflammation, which is addressed during equine therapy and afterward, through the release of endorphins, the horse’s own feel-good hormones. Tension in the body of a rider is always going to have a negative impact on performance. Not only is the rider not comfortable in the saddle, but they may be unnatural in their position on the horse, creating an imbalance that can escalate to loss of equine flexibility or even pain. And of course some equestrian athletes, no matter how well they ride, spend so much time in the saddle and working out that massage becomes a must to assist with tissue repair and maintenance of physique. The goal of the massage session is to relieve stiffness and pain, to stimulate blood flow to speed up healing, and to help with the reduction of inflammation and swelling. Deep relaxation through tension and stress reduction are also important elements of massage for riders, just as they are for their mounts. 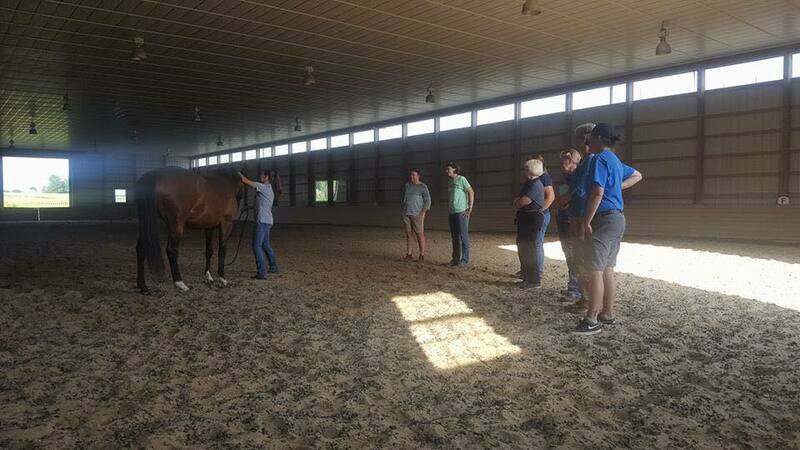 This clinic is designed specifically for horse owners, riders, and trainers. Participants use both theoretical classroom education and hands-on practice to emerge with techniques they can use every day with their equine athletes to help develop, enhance, and maintain their health and athleticism. Tell me more about your team or riding club, so we can put together a clinic that provides the best results for you and your horses. 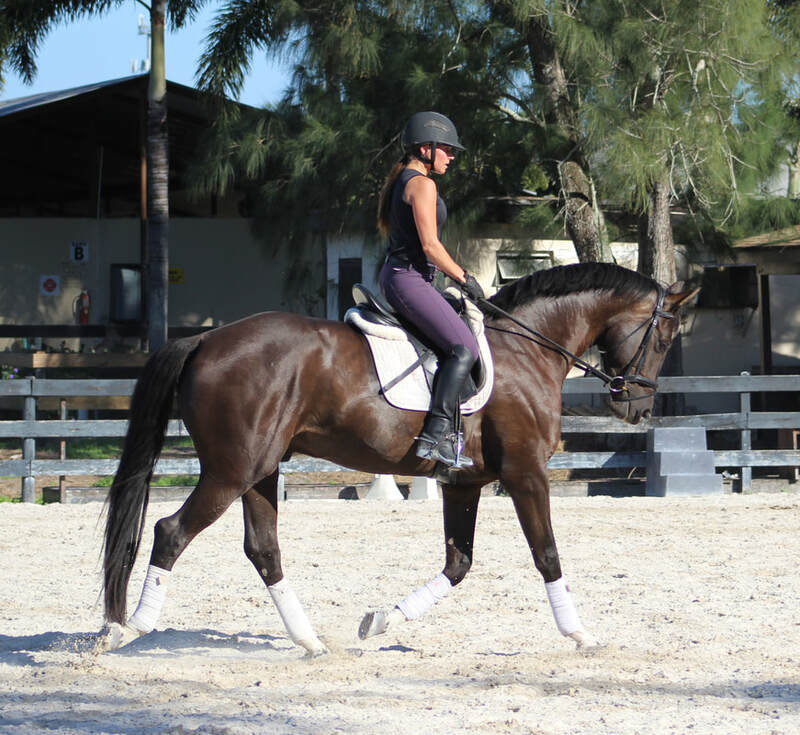 Sometimes human massage aren’t enough, and riders need personal training and nutritional counseling to help them achieve the next level of equitation. I provide a unique approach to personal training for riders that focuses on an understanding of biomechanics. This is the science of how your body and movement impact how your horse moves, including practical applications of anatomy and physics. Sometimes issues with a horse’s lack of balance or flexibility can be traced to how the rider is communicating with the horse, through body position, hands, legs, seat, and even the placement of the upper body all the way to the top of the head. We can work together to make sure you are using the best body positioning when riding, so you can provide the clearest cues to your horse. We can also work towards developing the strength and flexibility you need in various areas of the body to improve your riding at any level. I also offer rider fitness assessments, nutritional counseling, and basic to advanced riding instruction. Often horse owners and riders are not sure which of my services and treatment modalities are best for them. Prior to any work, we will complete an assessment together and put together a program that suits your needs, based on my evaluation and your goals. Feel free to contact me to ask any questions or set up an appointment for a consultation. Why wait to give your horse the winning edge and to create the riding partnership you’ve always wanted? !